Top 5: Authors We Want to Read More From! In order to bring some life back to this blog, (it’s exam revision time and that means that all blogging motivation is zapped right out of our system by evil flashcards and quote tests), we thought it might be time again to participate in the classic weekly ‘Top X No.’ posts! This week’s is all about authors you’ve read marvellous books from already and want to devour more…not a hard list to make when there’s so many books on our TBR that fit the bill! Maddie: I’ve been meaning to pick up the Bloodlines series for the last…forever. When did I finish Vampire Academy? *checks Goodreads* November 2015?! Oh wow. Yep, Bloodlines needs to be my next series to conquer. The whole six book thing is a little off-putting, but if I’ve done it once, I’ll do it again, and I absolutely love how much voice Richelle Mead manages to give her characters. They really leap off the page! 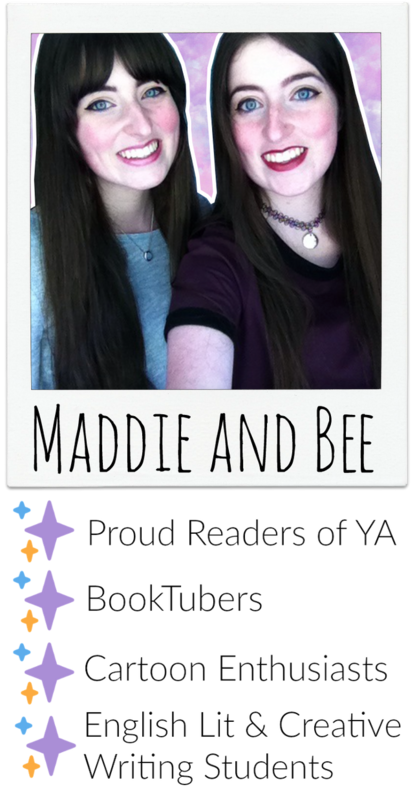 Bee: Maddie has already read the Starcrossed series, and we own all three of the World Walker books so it’s about time I got round to them. Starcrossed comes with a glowing recommendation (if I’m willing to put up with some angsty romance!) and World Walker is all about witches, my favourite of all the supernatural beings and a total buzzword. B & M: Between us, we’ve almost managed to read all of Cat Clarke’s books, and already have our hands on Girlhood, her next release, but we’d both really like to read the ones we’re missing. For Maddie, that’s The Lost and Found, about a girl who’s sister went missing when they were kids and has suddenly returned to a media frenzy around the family. And for Bee, that’s Undone, about a girl dealing with the loss of her best friend to suicide. Heavy stuff, but from what we’ve already read, it’s guaranteed to be good! B & M: The only thing we’ve both read from this author was her short story in the Summer Days and Summer Nights collection, edited by Stephanie Perkins. But, that little taster was enough to have us hungry for more, especially because her most recent release We Are Okay has been getting a lot of praise, and it’s focused on a college-student which is awesome because finding YA set out of high school is almost impossible. Nina La Cour’s first book Everything Leads to You is also on our radar because of the lesbian protagonist (and the set designing career) because we can’t get enough of diverse books!